RCE head Rabbi Menachem Margolin tells Arutz Sheva about the impact of the lethal Brussels assault on the local Jewish community. 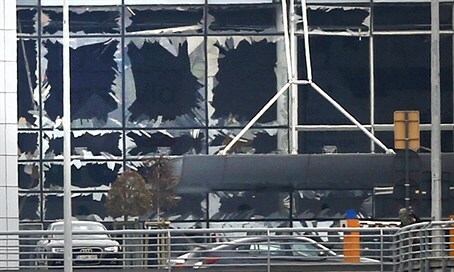 In the wake of the lethal terror attacks in Brussels on Tuesday that left around 34 murdered, Rabbi Menachem Margolin, director of the Jewish organizations of Brussels and head of the Rabbinical Center of Europe (RCE), spoke to Arutz Sheva about the assaults. The rabbi said that there are grave concerns among Belgium's Jews following the spree of bombings that targeted the airport and subway stations. "There are difficult feelings, there is no doubt this was a great surprise. We always knew about warnings, we knew where we were living. We hope that this wave will end as soon as possible so that it won't harm the Purim holiday," said Rabbi Margolin. However he said that the impact will nevertheless be felt on the holiday, saying, "the government has raised preparedness to the highest level, that means an automatic cancellation of all public events - there are a lot of Jews here." Looking forward to the future amid expectations of increased Belgian Aliyah to Israel, he said, "this is not an easy situation, you can't run from terror and it can strike any place." "The metro station is several hundred meters from my office. I call on all Jews who need to fly or travel, to pay attention to the instructions of the police and to wait."